Teething is the pits…. I know when I have got a tooth ache just how miserable I am and I honestly just can’t imaging what a bub must go through when their little teeth are going through….really regardless of how they handle it they are little troopers. We have a growing range of products store that I think really help out in this sad little time. 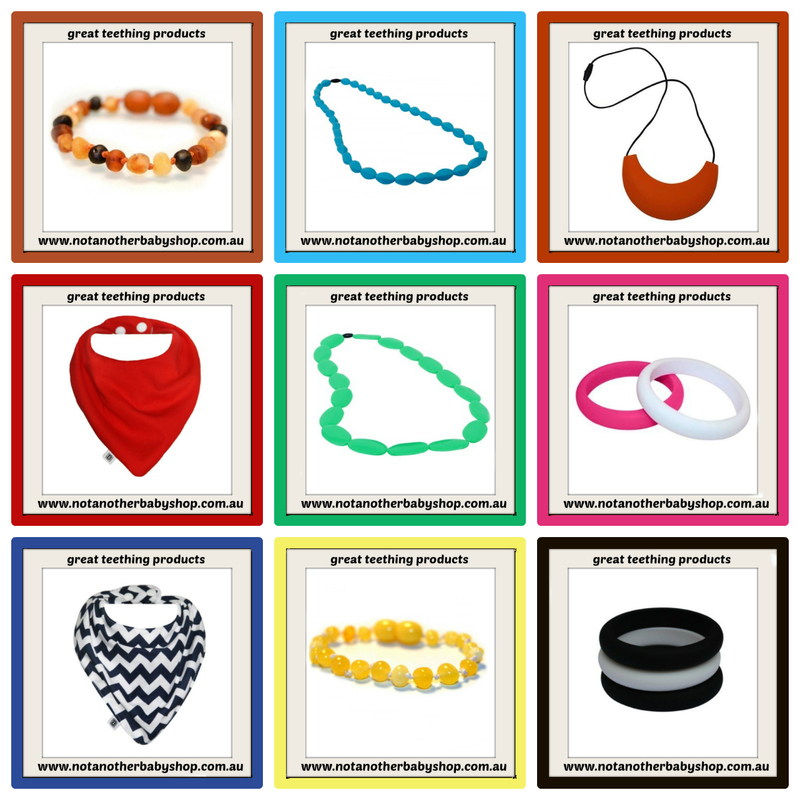 Baltic Amber teething necklaces, bracelets and toys (both of my daughters have worn these), chewable teething jewellery for mum (absolutely love these) gorgeous little dribble bibs for when the dribble gets to much and of course teethers. Below is a little visual sample but make sure you check out our range. Good luck I hope your little one is feeling better really soon.